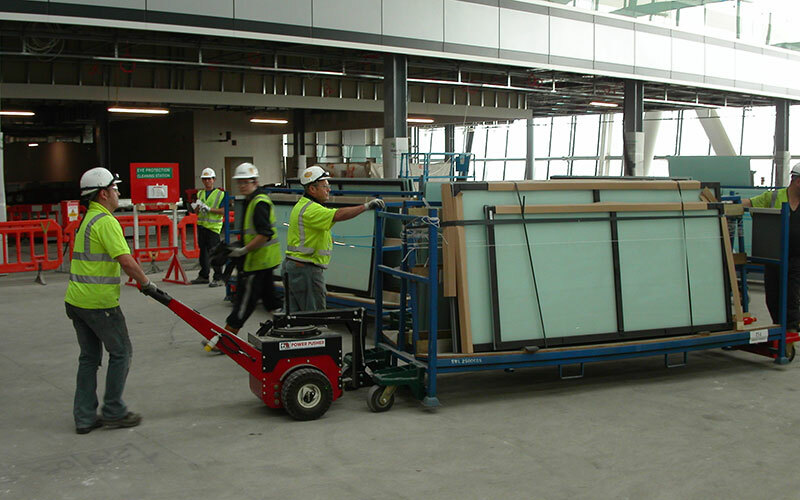 In the Construction industry, loads are not always mounted on wheels/castors and the area in which they are moved is usually not as clearly defined as in a factory, The floor surfaces are often imperfect and, as the project advances, so the landscape of the site changes. These variables present many challenges and it is commonplace to see a much greater use of manual labour across the industry. 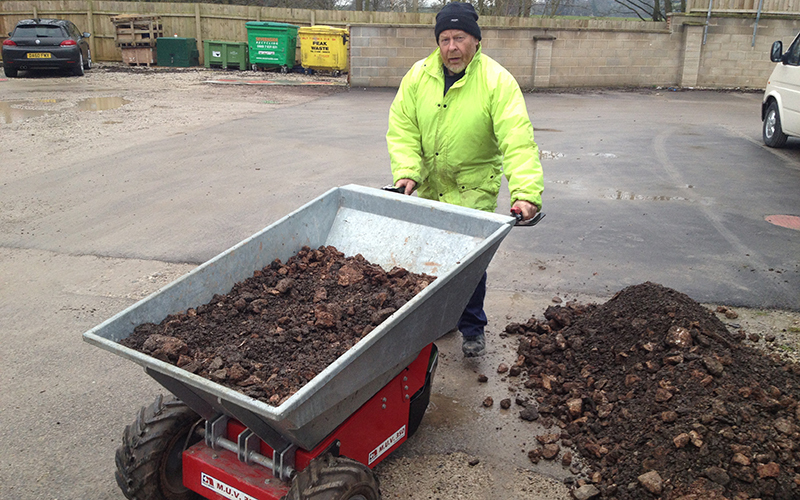 Our electric wheelbarrows & powered pushers are all transaxle machines so, are perfectly suited to this environment and, where the loads are not already mounted on wheels or castors, we have developed some specific solutions to temporarily make the load more mobile. 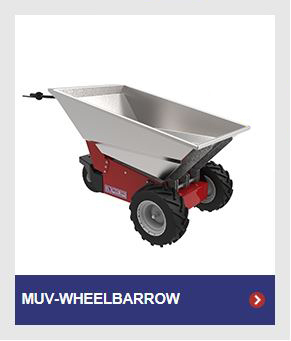 In 2014, we launched our MUV Electric Wheelbarrow machine to safely and efficiently help move concrete, paving slabs, aggregates, flooring screeds and JUST anything else you see moved by a manual wheelbarrow in the Construction industry. Unlike old-fashioned machines with either petrol or diesel internal combustion engines, Nu-Star electric tugs have no harmful exhaust gas emissions & are virtually noiseless during operation. These features are particularly relevant and beneficial when using a powered wheelbarrow in tunnelling & mining applications & where a contractor is required to move materials on internal sites eg. small works projects at schools, hospitals, airports etc. Hand-Arm Vibration Syndrome (HAVS) causes the most common industrial injuries in the UK & Employers have a responsibility to identify causes and minimise employee exposure to machinery which causes the injury. 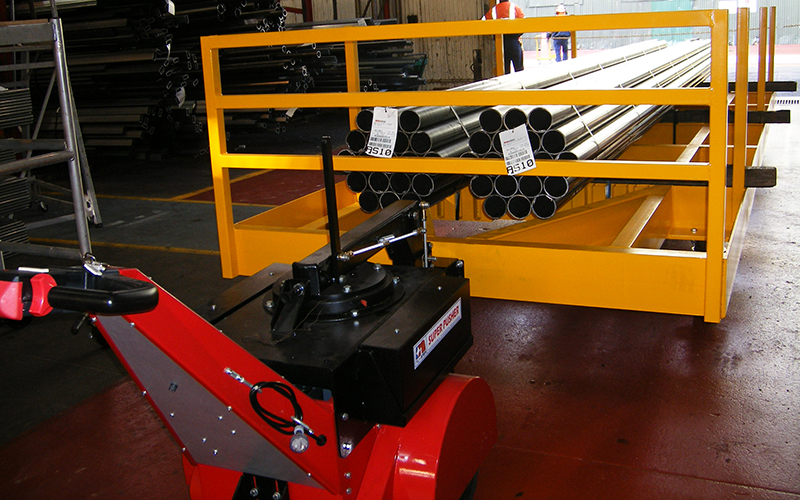 Since our machines are electrically powered, there are no resultant handlebar vibrations to consider in the risk assessment process and therefore operators do not need to be time-limited on our tuggers & wheelbarrows.